WWII 48th Engineer Battalion Theatre Made DI. One inch tall. 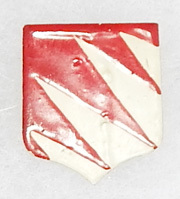 Thin, pot metal construction with red and white painted details. 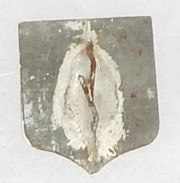 Has two small prongs on reverse.